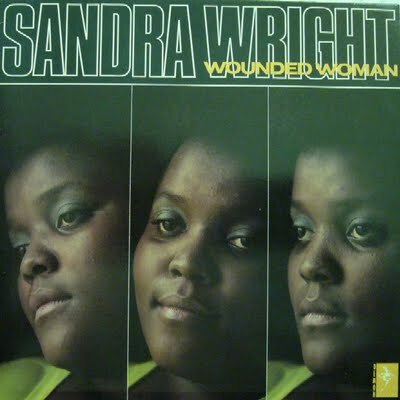 I’ve been sad since news broke yesterday that Sandra Wright passed away. Wright and Tammy Fletcher are the two singers that brought more pizzazz to Vermont music than anybody I can think of. Both their voices could blow your socks off one minute, and convey crushing heartache the next. Everybody will miss Wright. I’ll leave it to the music critics to analyze the joy and good times Wright brought to the Vermont music scene. But everybody has a story, and I do, too, even if Wright plays only a tangential role. Be patient with this story, Sandra Wright does enter into it, I promise. My sister Lynn’s West Rutland property has stunningly beautiful gardens she has designed. A few summers ago, to surprise her on her birthday, I decided to playfully burst my sister’s perfect garden bubble. I had Lynn’s husband make her scarce for a few hours. Then I vandalized her property. I put out a bunch of cheap, tacky Wal-Mart lawn ornaments, covered the front of her barn with huge sheets of paper and scrawled tasteless birthday greetings on it. I lined more than three dozen bottles of beer on her front porch, one beer for each of her years of living. As I was working on this project, the Carving Studio, an arts center across the valley from my sister’s house, was having a fundraiser. Sandra Wright was the entertainment for the event, and her beautiful soaring voice wafted across the valley. I happily listened to her belting out her songs while I worked on Lynn’s birthday greeting. Lynn arrived back home and dissolved into giggles when she saw the mess I made. We had a couple beers that muggy night on her porch as we listened to Sandra sing her last song of the evening. Leave it to Sandra Wright to turn an already fun evening into something perfect and sublime. This entry was posted on January 13, 2010 at 9:22 pm and is filed under Uncategorized. You can follow any responses to this entry through the RSS 2.0 feed. You can leave a response, or trackback from your own site. thanks for making me teary-eyed…again. I grew up in Memphis, TN with Sandra. We sang in the Youth Choir at St. Paul MB Church where my Dad was the pastor. We had a trio and I was the keyboard player. The trio consisted of John Langston Ragland, Dorothy Bowles Ford ( 1st wife of Former Congressman Harold Ford ) and Sandra. There was nothing ordinary about her vocal gift. We just reconnected about a year ago. I am so proud to have known her. I used to eat over to her house and boy could her Mom, Mrs. Mattie Wright throw down in the kitchen. I loved her and I know she loved my family. God Bless and I am on my way.